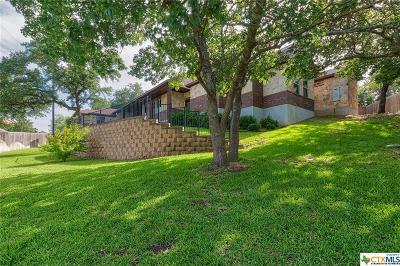 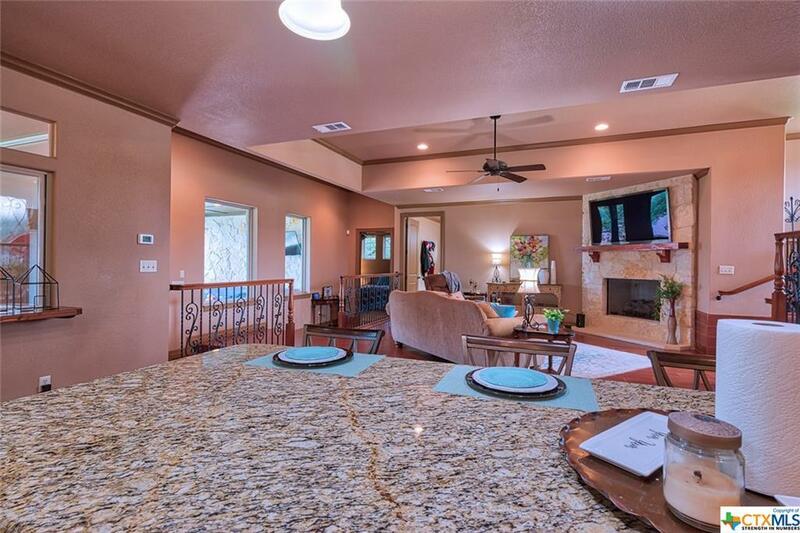 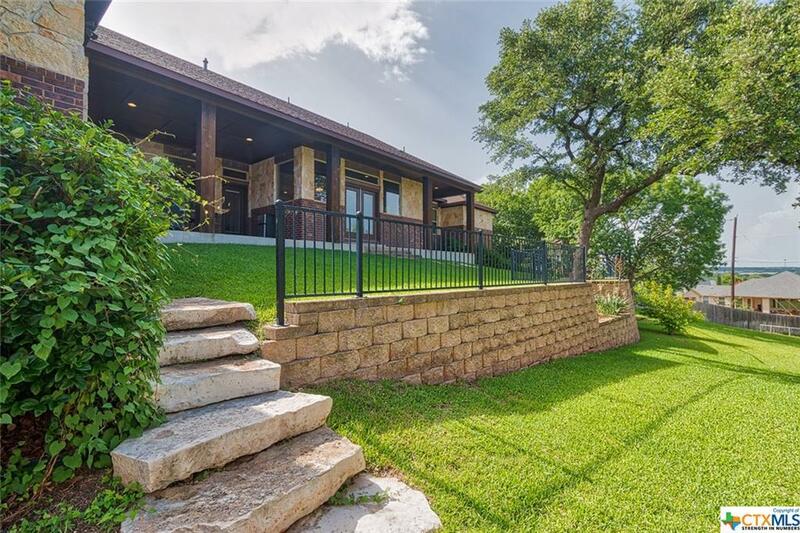 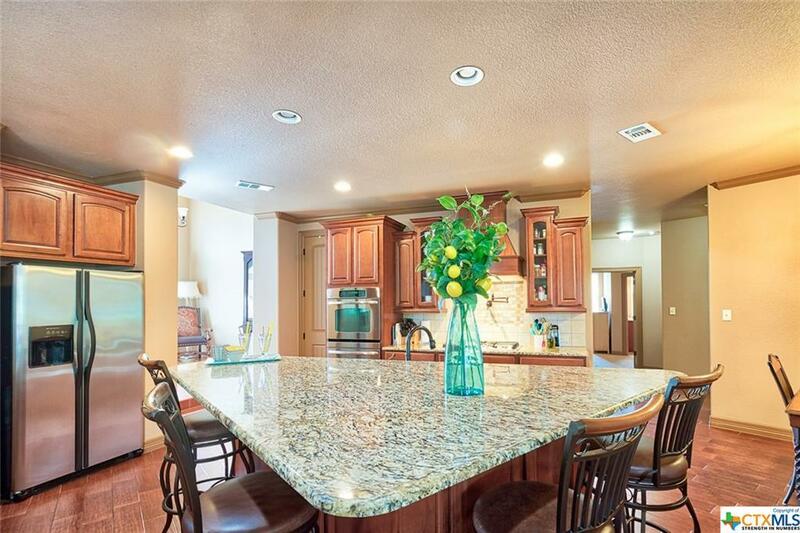 Gorgeous spacious home that is set on a sprawling almost half acre lot in a gated community with biking and walking trails. The appeal can’t be beat here with a welcoming front porch that combines with the 3-car garage and stone brick exterior for dramatic curb appeal. 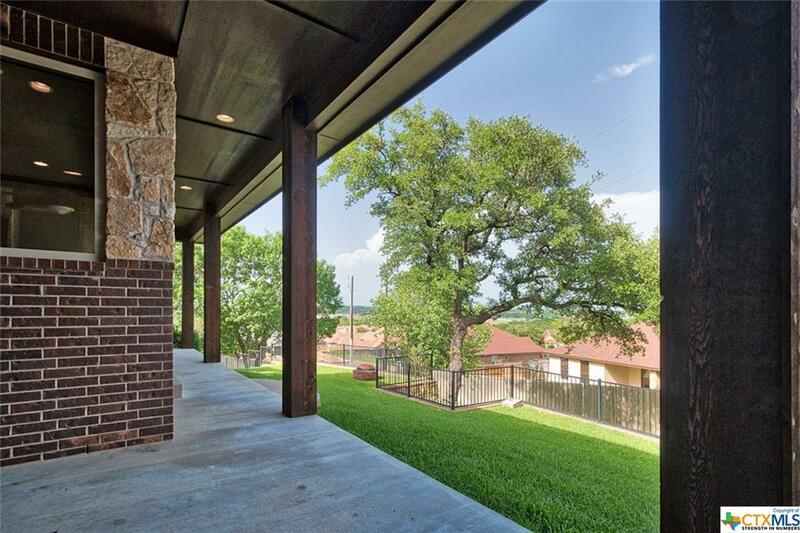 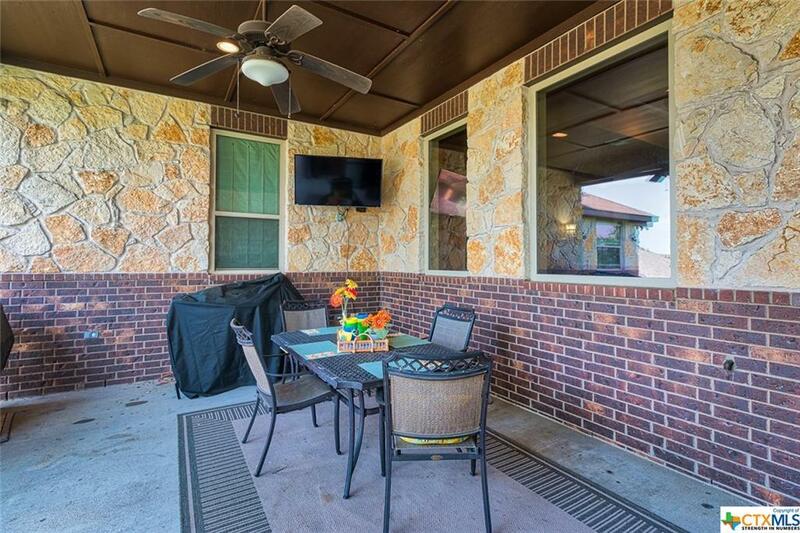 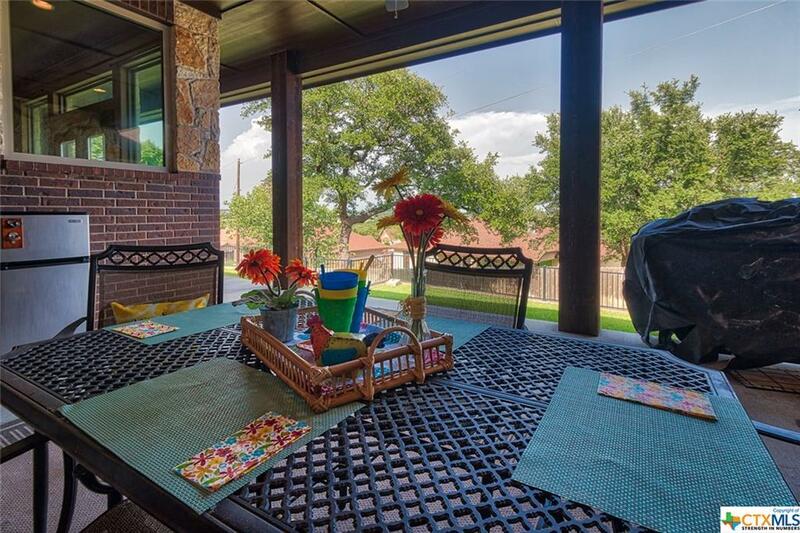 Relax on the spacious covered patio that overlooks the generous backyard. 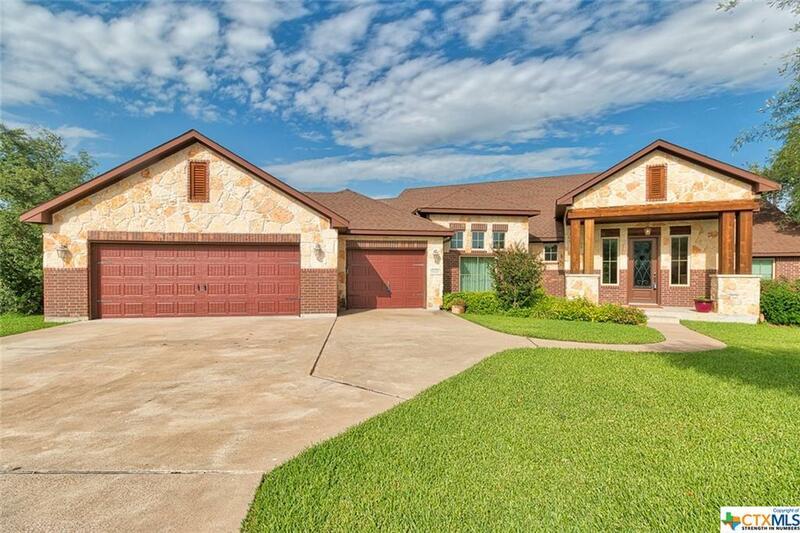 Valuable floorplan houses 5 bedrooms, 3 full and 2 half baths in addition to 2 living and 2 dining areas. 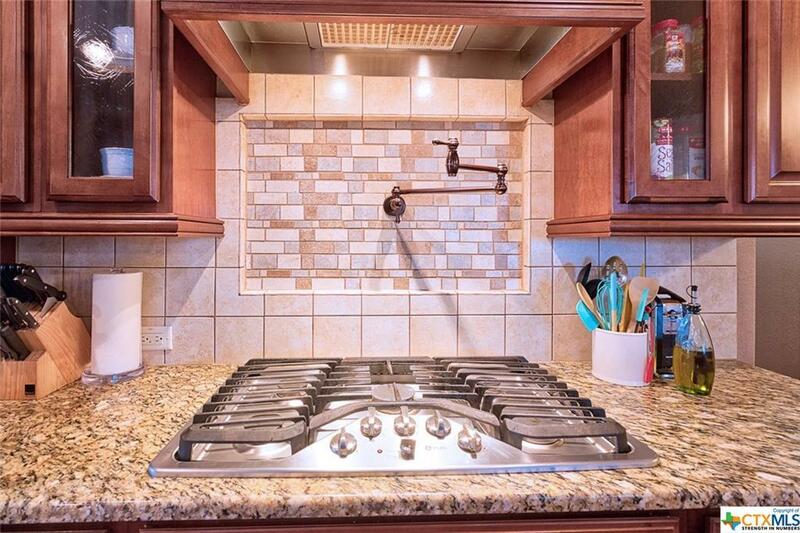 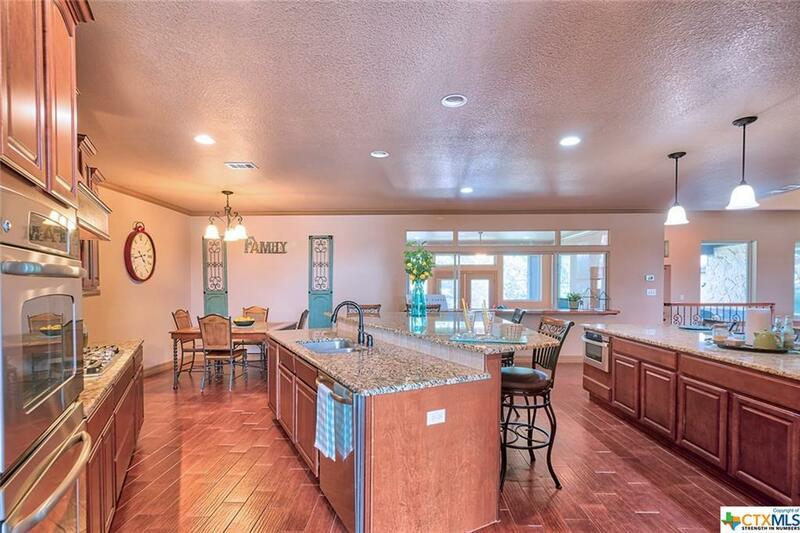 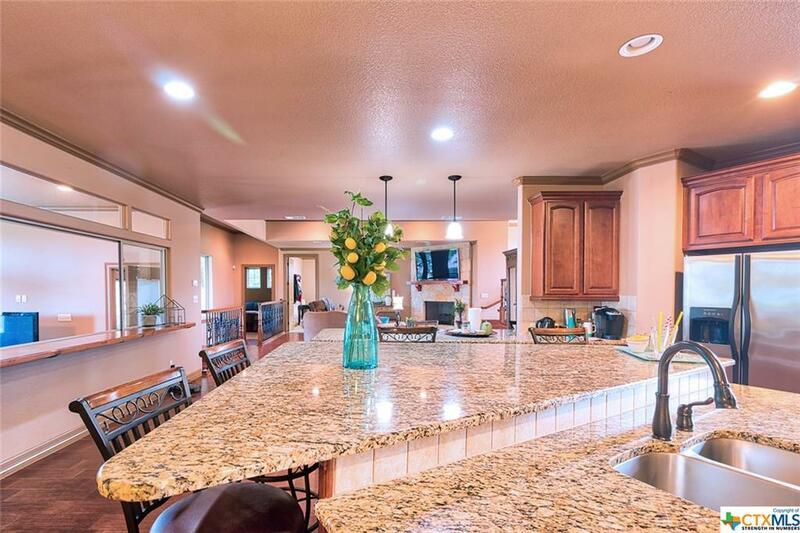 The heart of this home is the gourmet kitchen with working island with sink and bar seating, an abundance of granite counters, a 5-burner gas range, and plenty of custom cabinet storage. 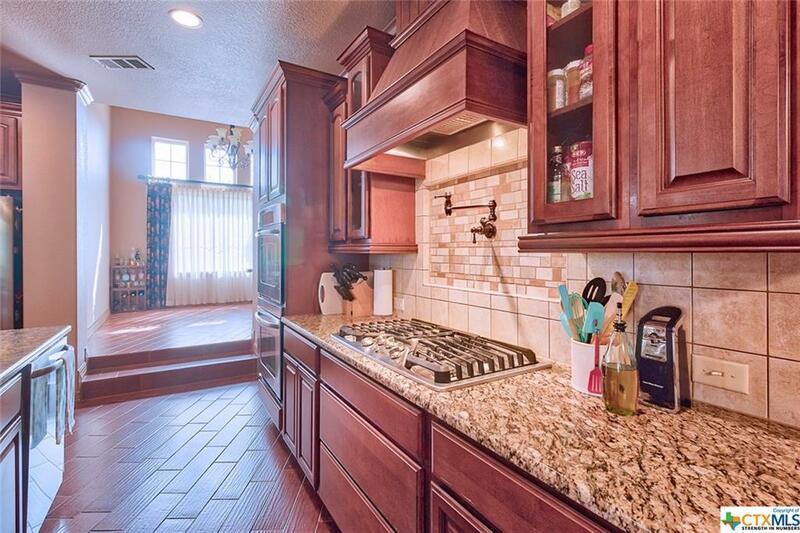 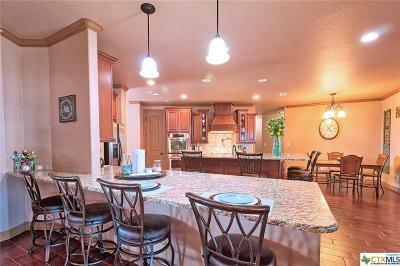 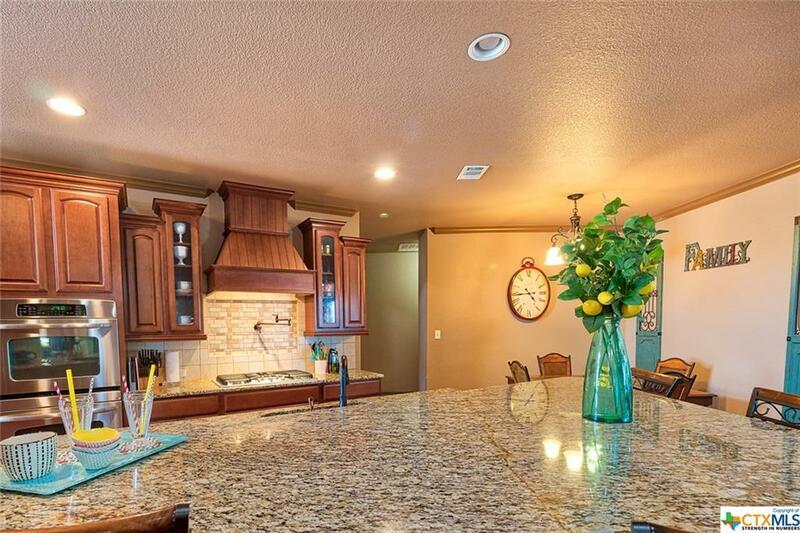 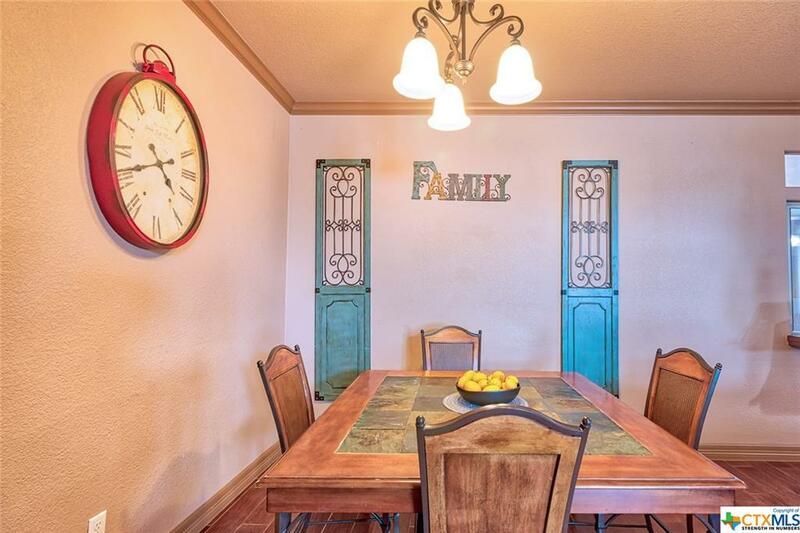 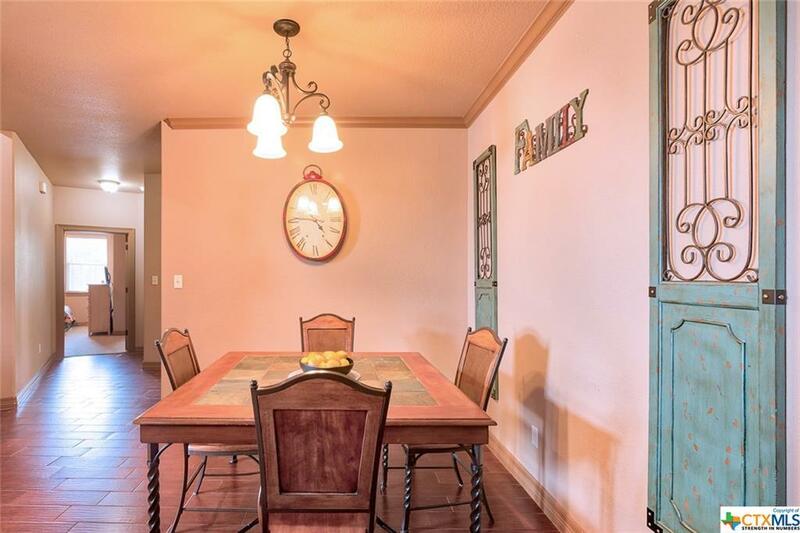 The kitchen is flanked by a formal dining room and a breakfast area to make dining a treat no matter the occasion. 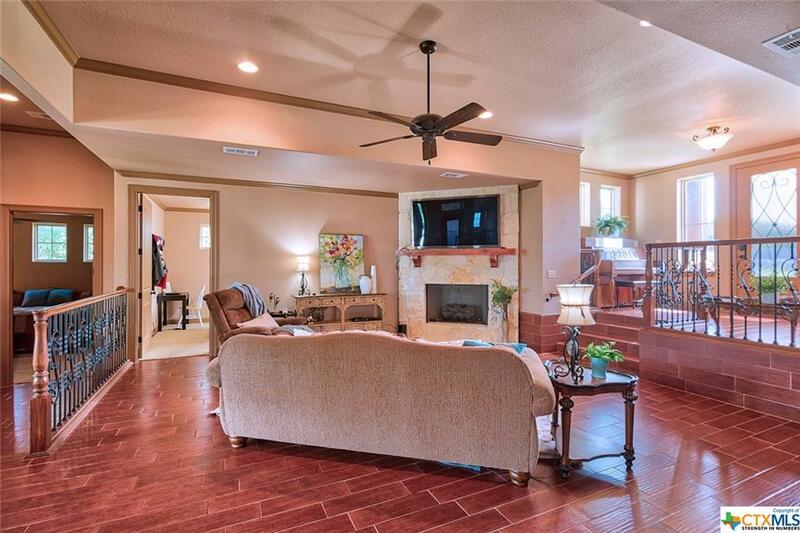 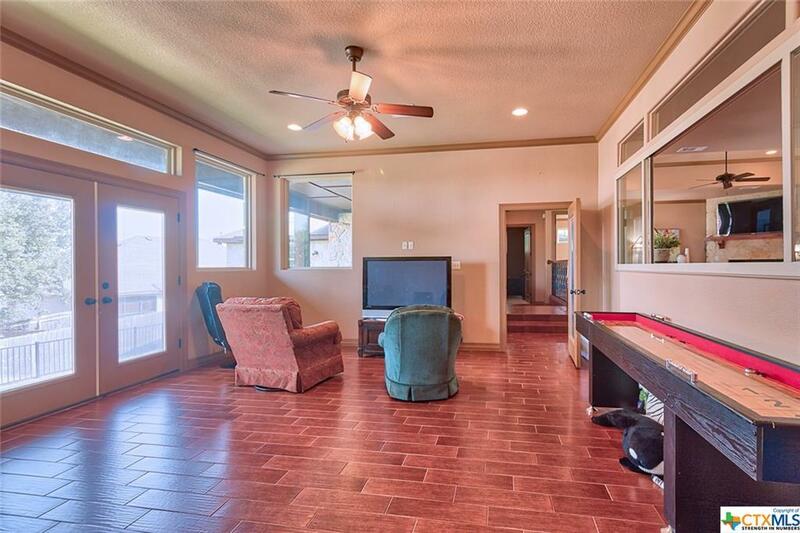 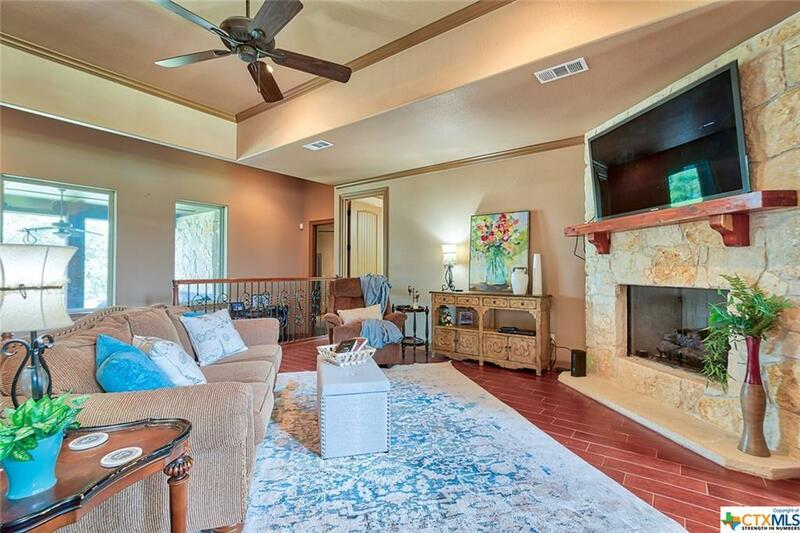 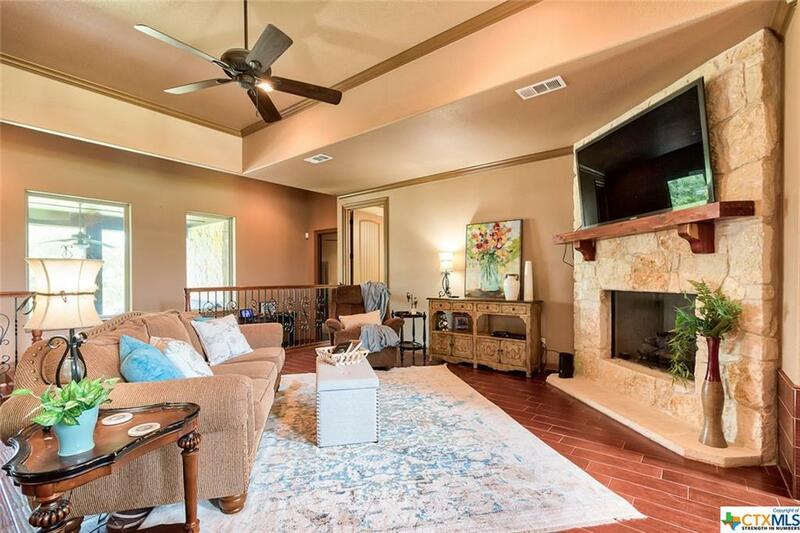 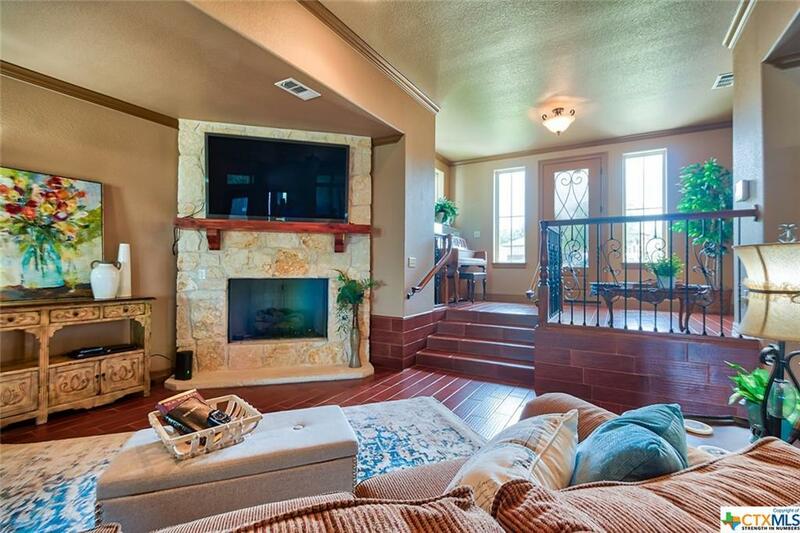 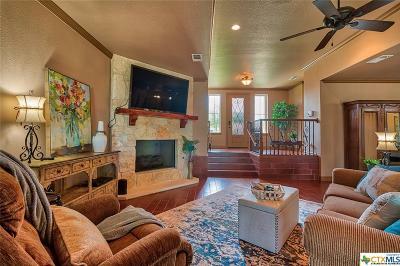 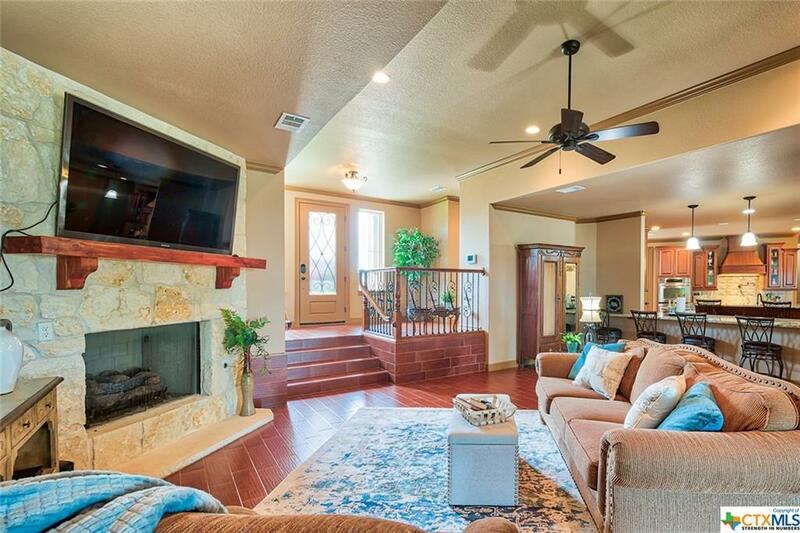 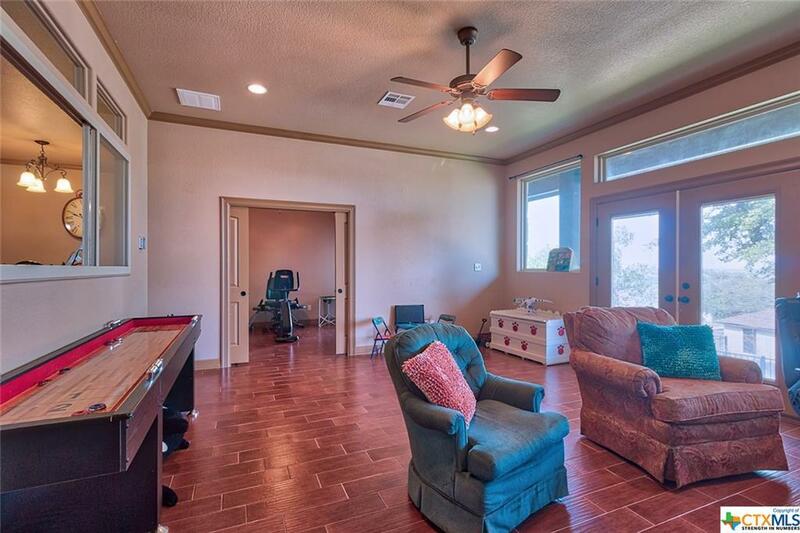 Wood-look tile floors highlight the great room with a commanding stone corner fireplace. 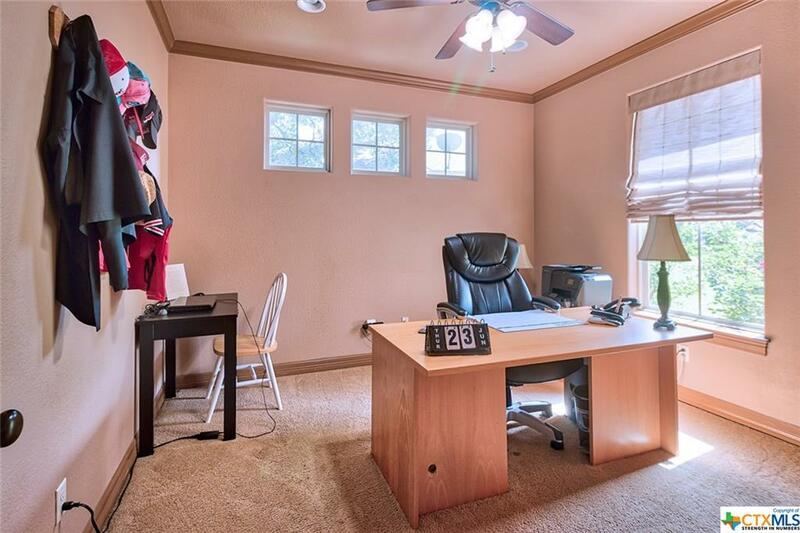 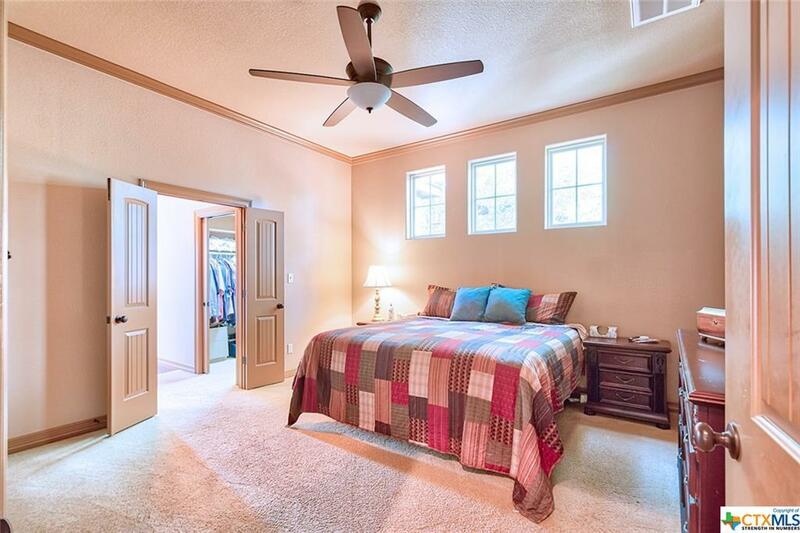 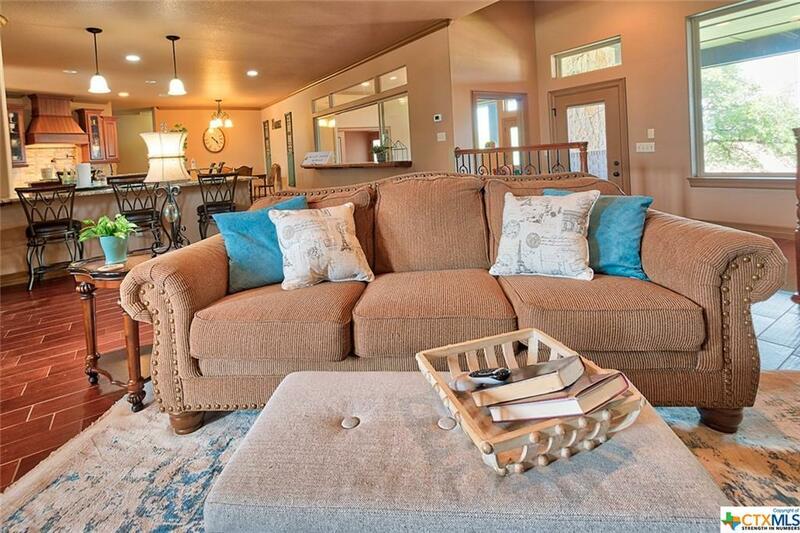 This home also includes a bonus room that overlooks the backyard and has access to the patio and would make a great media room or family gathering area – this room also connects to a private spot that would be an ideal home gym with an attached half bath. 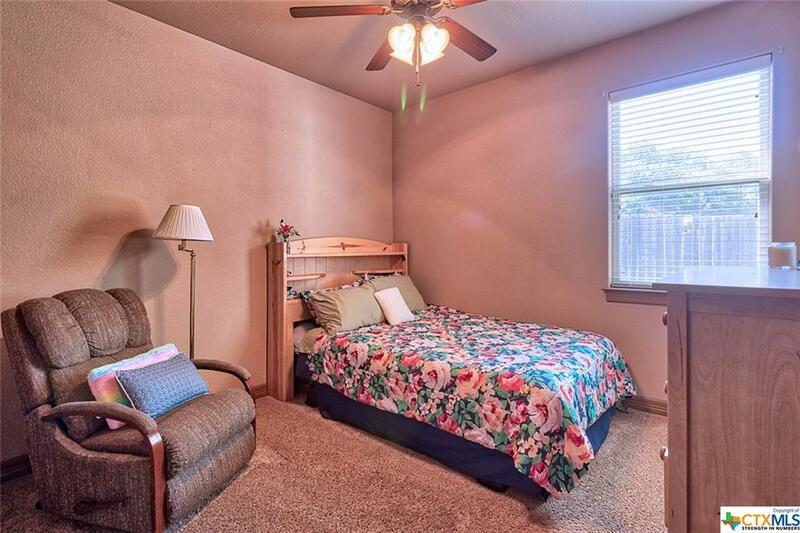 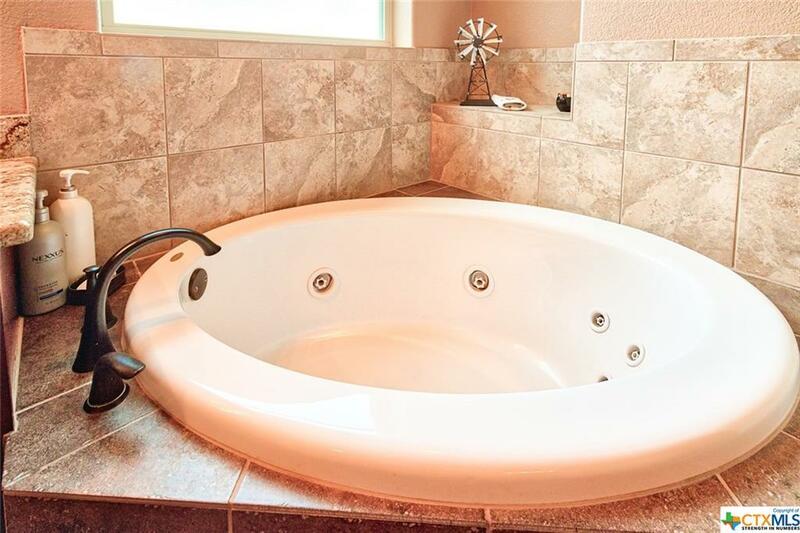 The owner’s suite has a corner jetted tub with separate shower for maximum relaxation options. 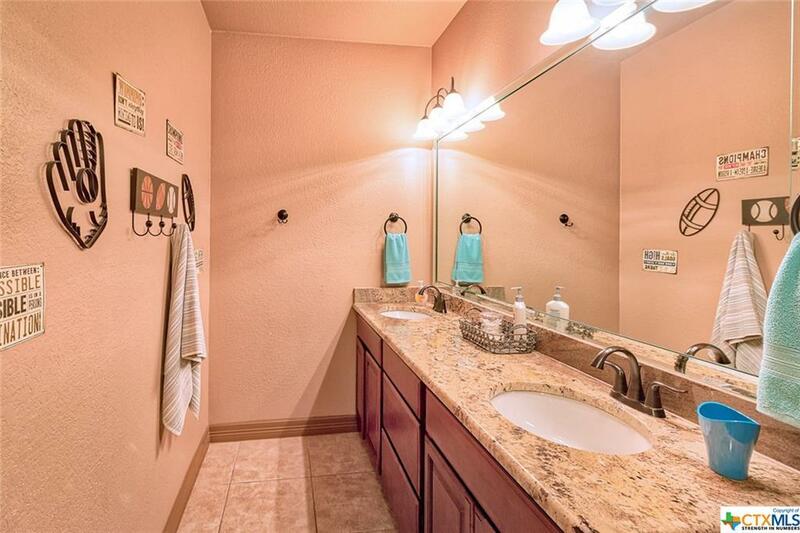 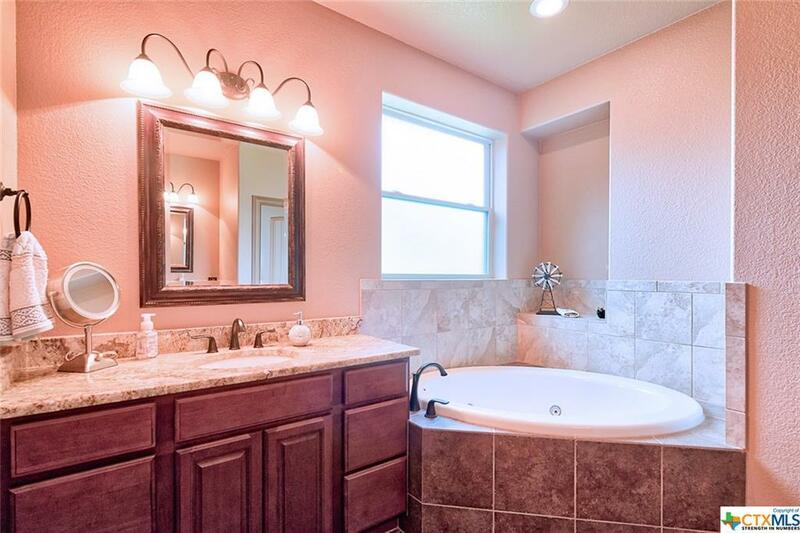 One of the full secondary baths has a soaking tub with separate walk-in shower. 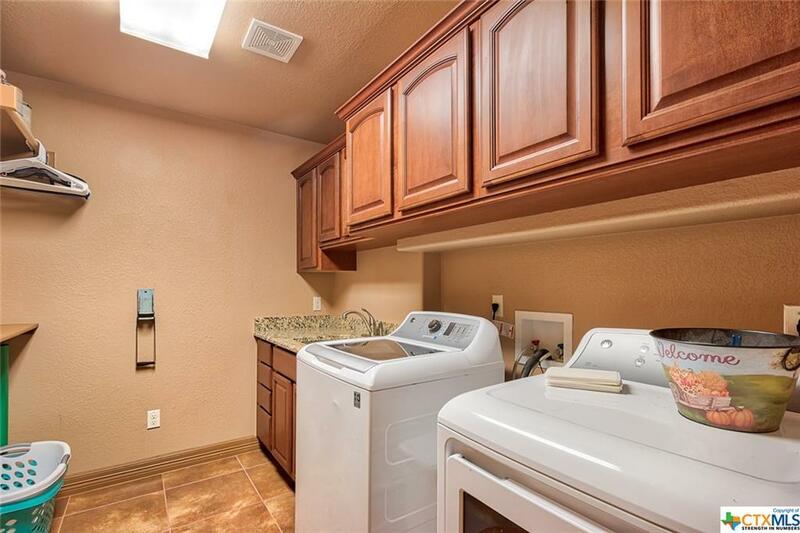 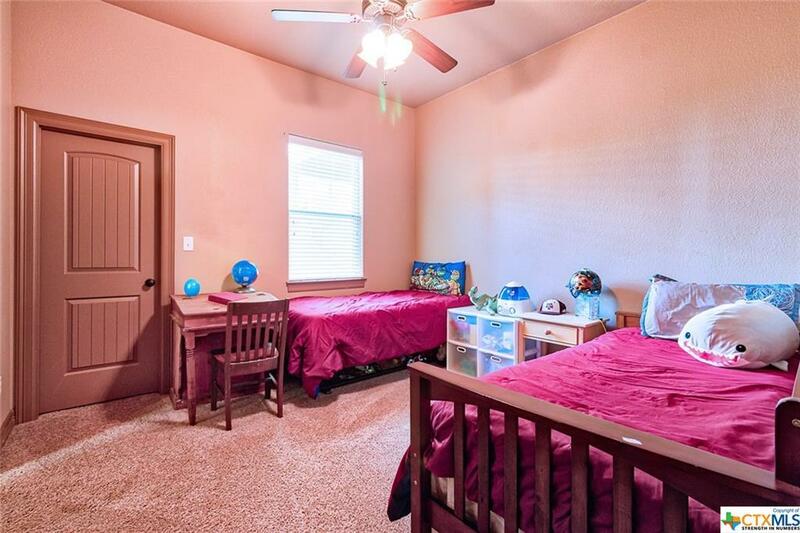 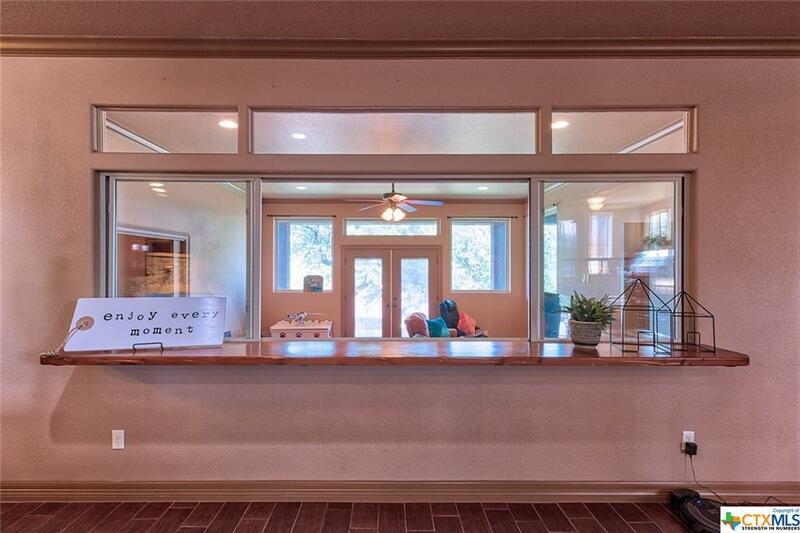 Additional amenities include storage space and sink in the utility room, energy efficient double pane windows, tankless water heaters, spray foam insulation, a security system and a sprinkler system. 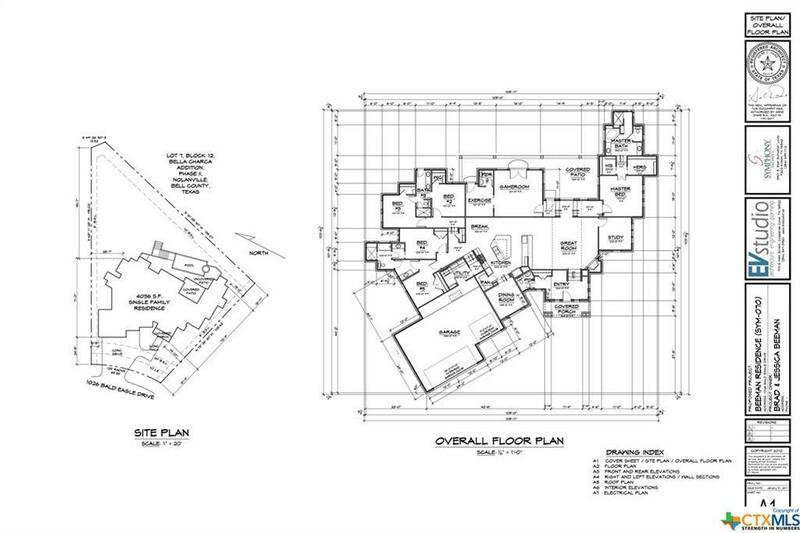 Directions: From I-14/Us-190 E Take The Exit Toward Us-190 Bus/Veterans Memorial Blvd/Nola Ruth St. 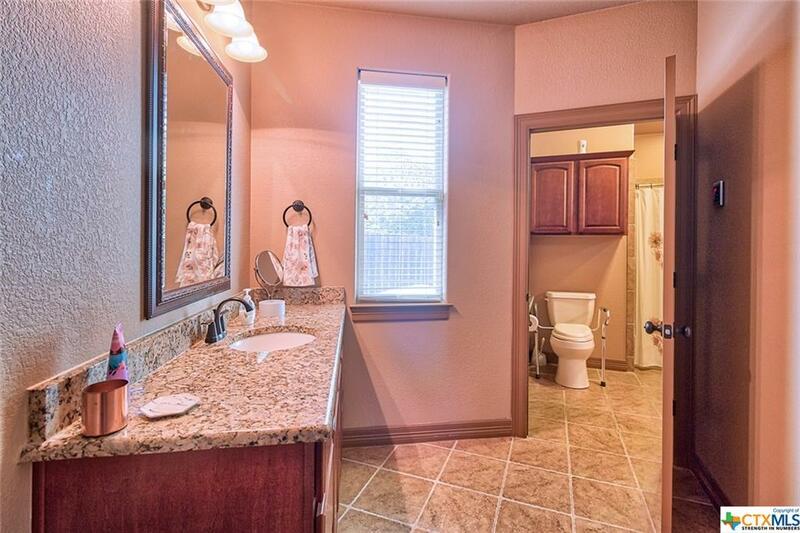 Slight Right Onto Old Nolanville Rd. 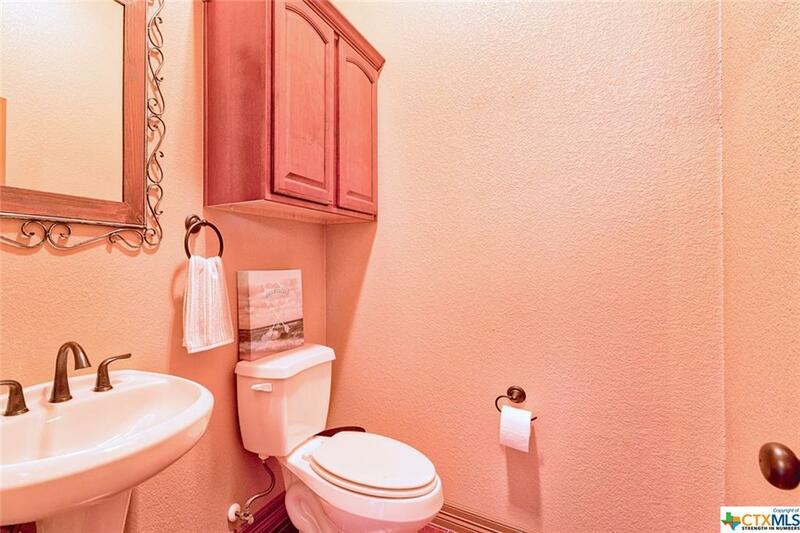 Turn Right Onto Wilderness Basin. 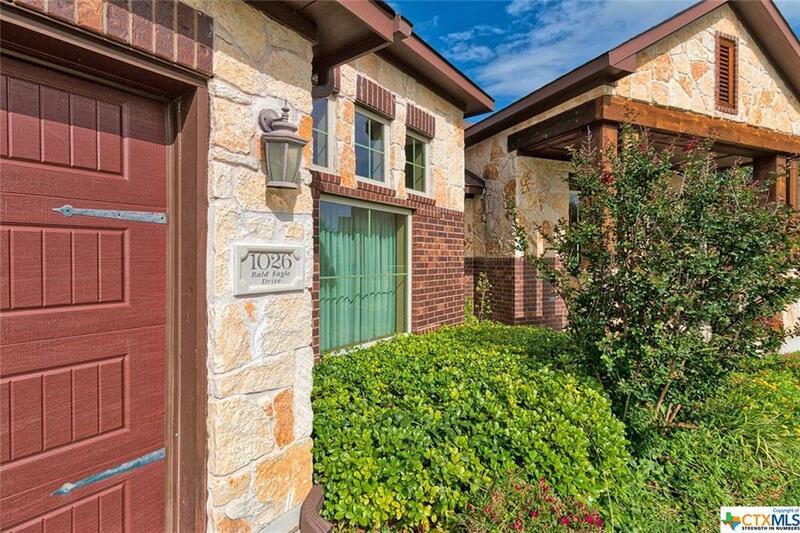 Turn Right Onto Parkridge Dr. Parkridge Dr Turns Slightly Left And Becomes Redleaf Dr. Turn Right Onto Chimney Hill Dr. 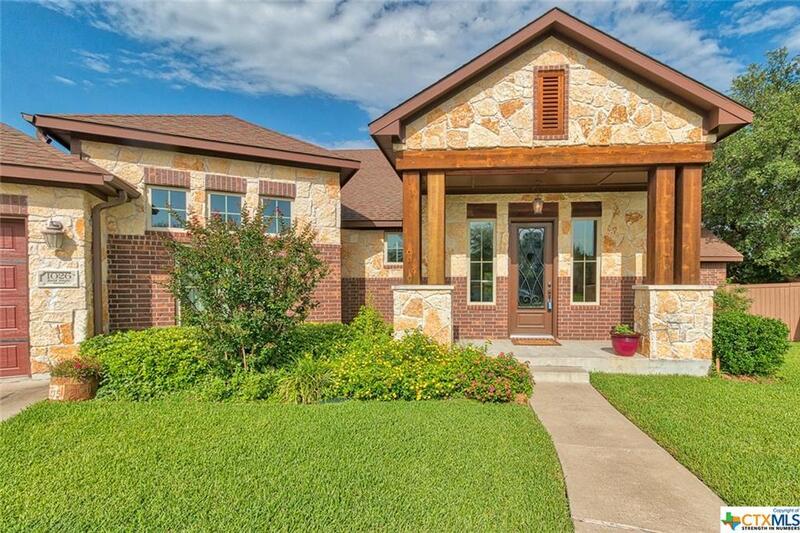 Turn Left Onto Bald Eagle Dr. Home Will Be On The Left.